Despite the snow on the ground, spring is here. My daffodils are blooming, the birds are singing and the sunshine is a bit brighter lately. 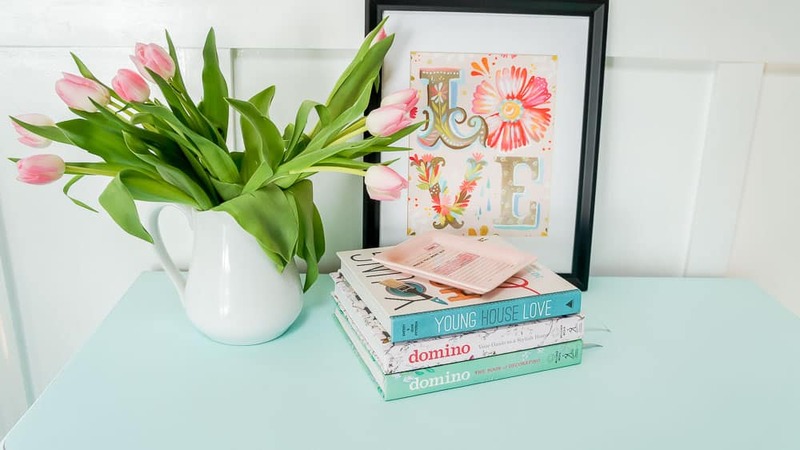 I’m fully embracing the springtime feelings and trying to add splashes to my home. 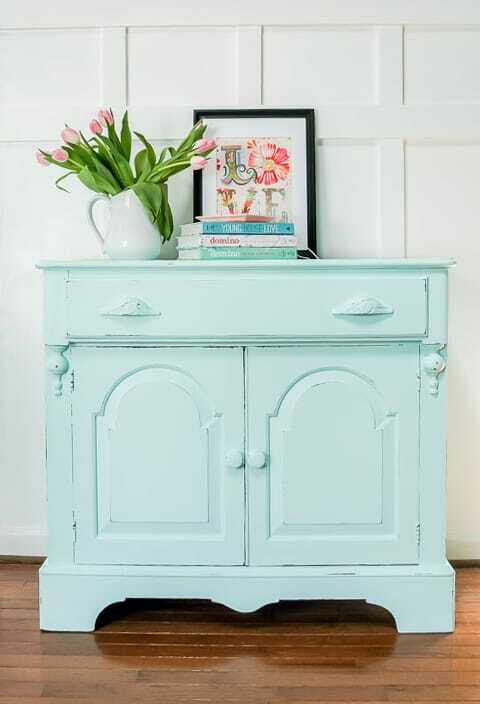 Adding color through painted furniture is such an easy way to bring spring into your home. 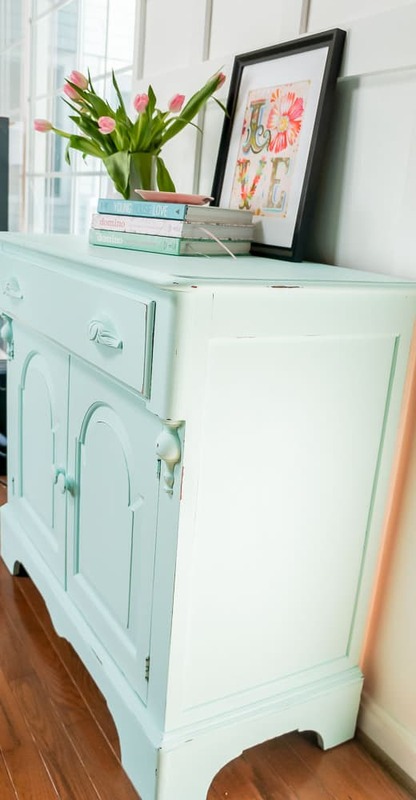 So I got to work painting a piece of furniture for some instant spring! 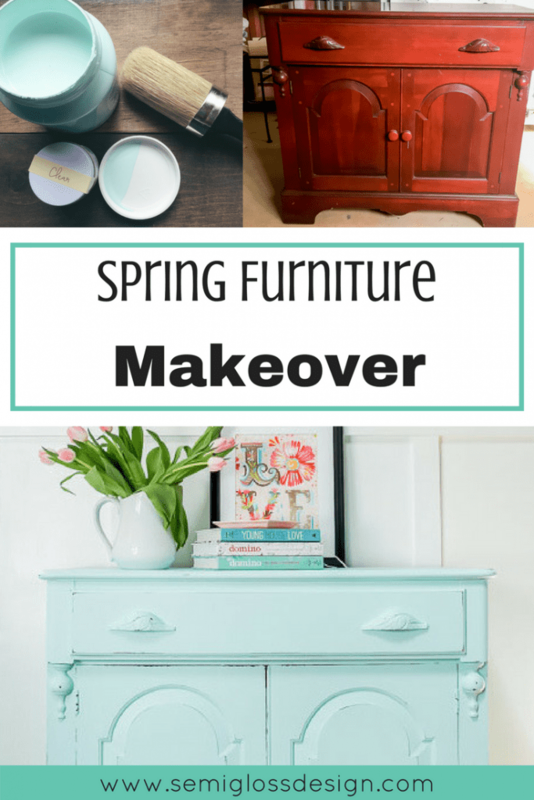 Want to learn more about my spring furniture makeover? Fusion Mineral Paint provided me with paint for this project, but all thoughts and opinions are my own. I would never recommend products that I wouldn’t buy or use on my own. I actually use Fusion Mineral Paint all the time. Your support helps me make more projects like this one! I used Fusion Little Tea Pot in the Tones for Tots line and it is gorgeous! 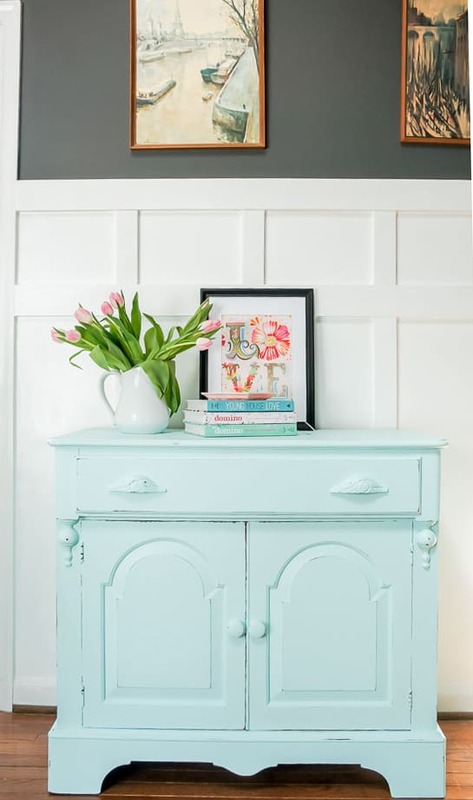 I’m a huge fan of aqua and this color does not disappoint! I picked up this piece from a local shop because I loved the small scale and the pretty lines. Those carved handles are gorgeous! The wood was gorgeous and I felt a bit of fear that I was ruining something precious. 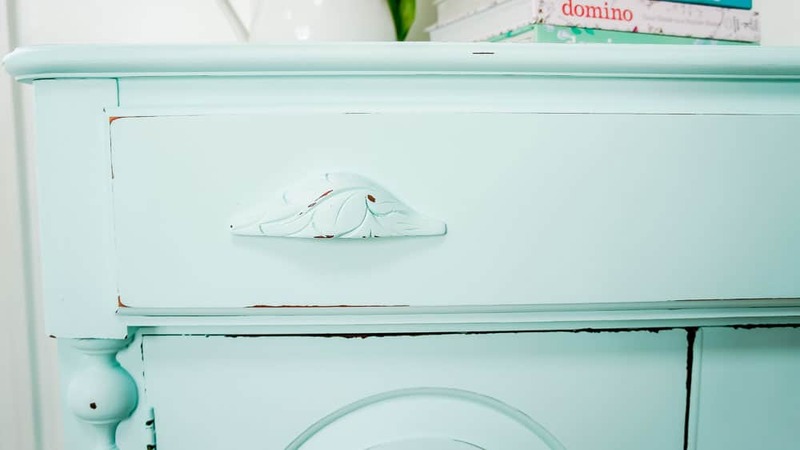 But part of the reason that I love painting furniture is that it gives old pieces a new chance at life. This piece felt very precious and “fancy.” When a piece of furniture feels too fancy, it can limit it’s uses. As it is, I can only see it being used for it’s intended purpose: in a dining room. Now it’s gorgeous and doesn’t feel too precious at all. This credenza would be perfect in a dining room, but just at home as a changing table in a nursery! In a spare bedroom, it could be filled with extra blankets and towels. It would be perfect in a play room for toys. Or as a media stand. Painting it seems to have given it more opportunities to be used! 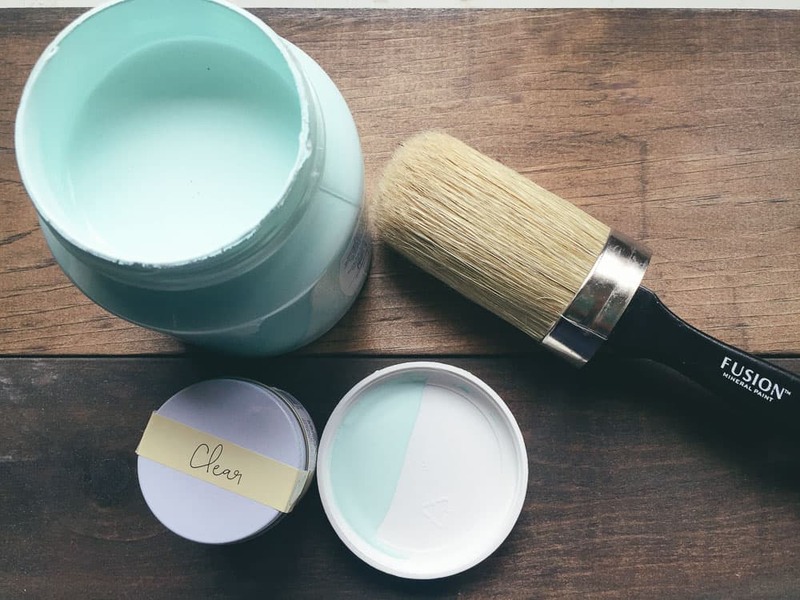 Fusion Mineral Paint is so easy to use. I painted a coat of shellac on this piece because mahogany bleeds through light colors. Then I just painted a few coats of paint onto the cabinet, including the knobs. I normally love changing out knobs, but these were perfect. When the paint was dry, I lightly distressed the edges. This helps accentuate the pretty curves and details, but it also helps it from feeling too perfect. I loved the Fusion furniture wax. It smelled amazing and went on so smoothly! I loved how soft it was. The finish is very matte, adding only a slight sheen. 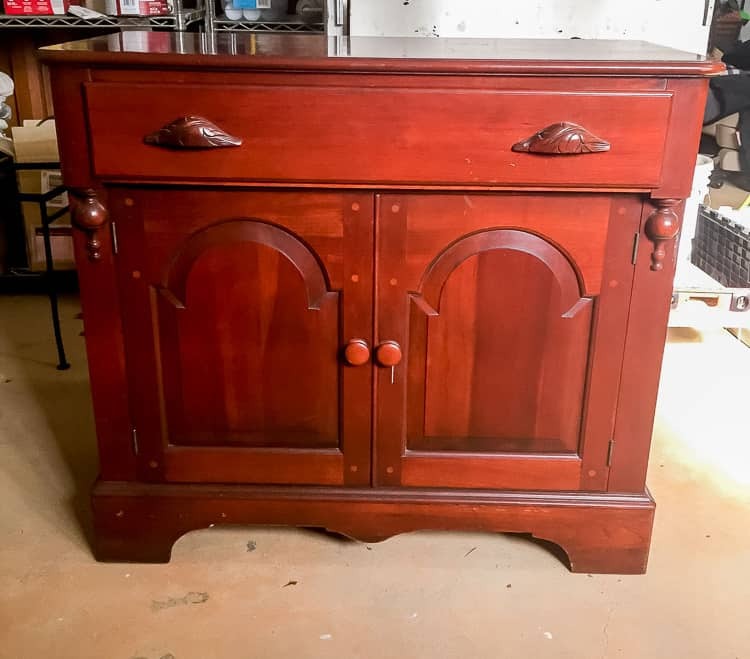 I’m becoming a huge fan of waxing furniture, so expect a full post on that in the future. Pretty drawers are my thing. 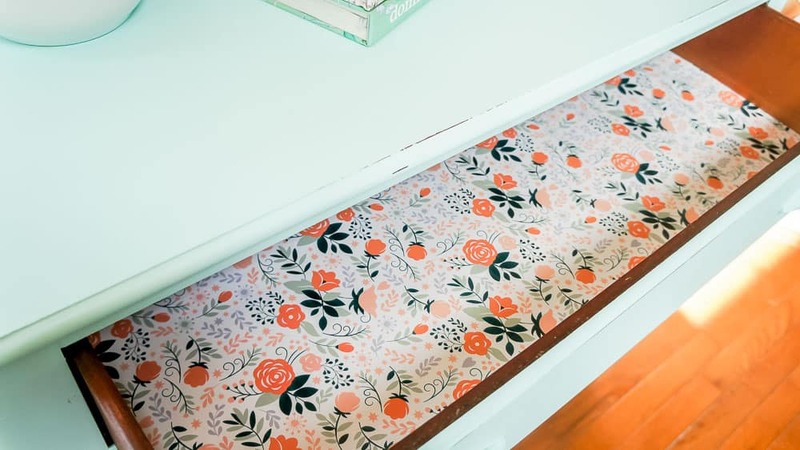 I love to use pretty papers to line drawers for a special touch. This is a wrapping paper that I bought at Home Goods. So what do you think? Does it feel like spring to you? Are you trying to ignore the snow outside your door as well? i love this one, emy! the color is SO pretty! Thanks! I love the color too. So pretty Emy!! I love that the light fanciful color makes the piece look so sweet and whimsical! BIG difference! Love it!! Oohhh that color makes me so happy!! Such a beautiful piece of furniture!! This is my favorite color ever! I need to find more excuses to use it!